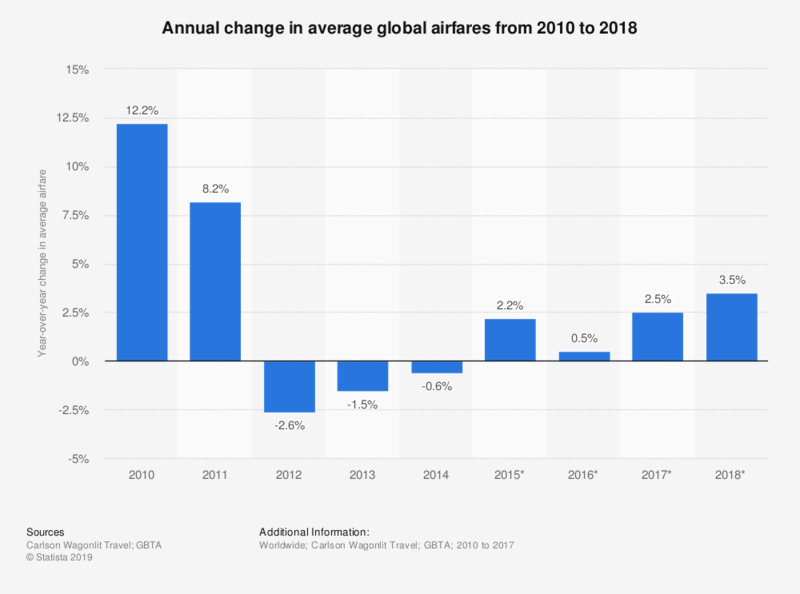 This statistic shows annual change in average global airfares from 2010 to 2018. In 2014, the average global airfare decreased by 0.6 percent compared to the previous year. Global airfares were forecasted to increase by 3.5 percent in 2018.